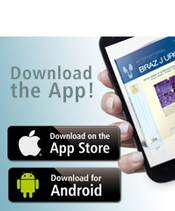 Objectives: Brachytherapy (BT) with iodine-125 seeds placement is a consolidated treatment for prostate cancer. 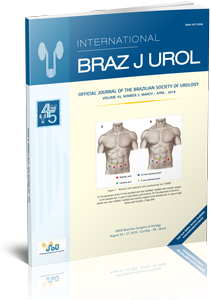 The objective of this study was to assess the clinical outcomes in patients with prostate cancer who underwent low-dose-rate (LDR) –BT alone in a single Brazilian institution. Materials and Methods: Patients treated with iodine-125 BT were retrospectively assessed after at least 5 years of follow-up. Patients who received combination therapy (External beam radiation therapy-EBRT and BT) and salvage BT were not included. Results: 406 men were included in the study (65.5% low-risk, 30% intermediate-risk, and 4.5% high-risk patients). After a median follow-up of 87.5 months, 61 (15.0%) patients developed biochemical recurrence. The actuarial biochemical failure-free survival (BFFS) at 5 and 10 years were 90.6% and 82.2%, respectively. A PSA nadir ≥ 1 ng / mL was associated with a higher risk of biochemical failure (HR = 5.81; 95% CI: 3.39 to 9.94; p ≤ 0.001). The actuarial metastasis-free survival (MFS) at 5 and 10 years were 98.3% and 94%, respectively. The actuarial overall survival (OS) at 5 and 10 years were 96.2% and 85.1%, respectively. Acute and late grade 2 and 3 gastrointestinal toxicities were observed in 5.6%, 0.5%, 4.6% and 0.5% of cases, respectively. For genitourinary the observed acute and late grade 2 and 3 toxicities rates were 57.3%, 3.6%, 28% and 3.1%, respectively. No grade 4 and 5 were observed. Conclusions: BT was effective as a defi nitive treatment modality for prostate cancer, and its endpoints and toxicities were comparable to those of the main series in the literature.